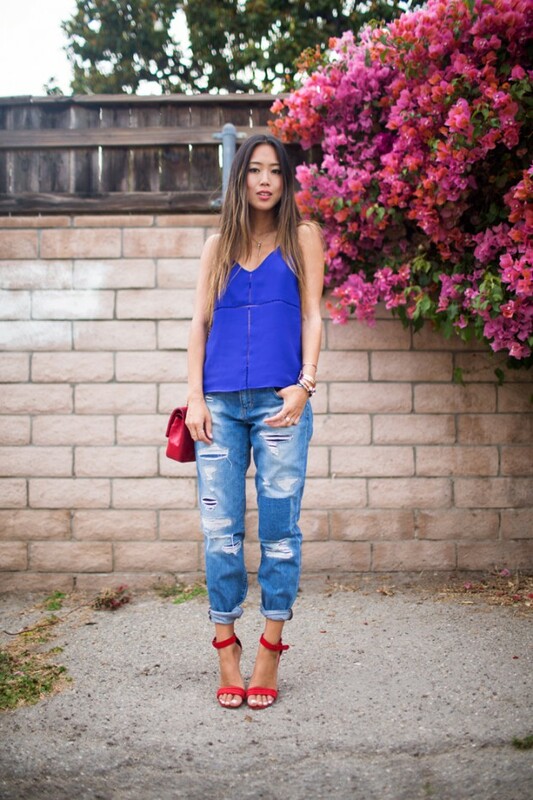 The thing about boyfriend jeans is that, more often than not, they seem pretty one-dimensional. No matter what you pair them with, the effect seems largely the same: a bit masculine, a bit undone, and very stylish. The jeans look great paired with everything from a basic white T-shirt to a chunky sweater, and they lend versatility in terms of shoe choice: you can wear them with everything from sneakers to sky-high stilettos. You can style boyfriend jeans to create plenty of fashionable outfits, from the ultra-casual to dressier ensembles that can work for date night and beyond. 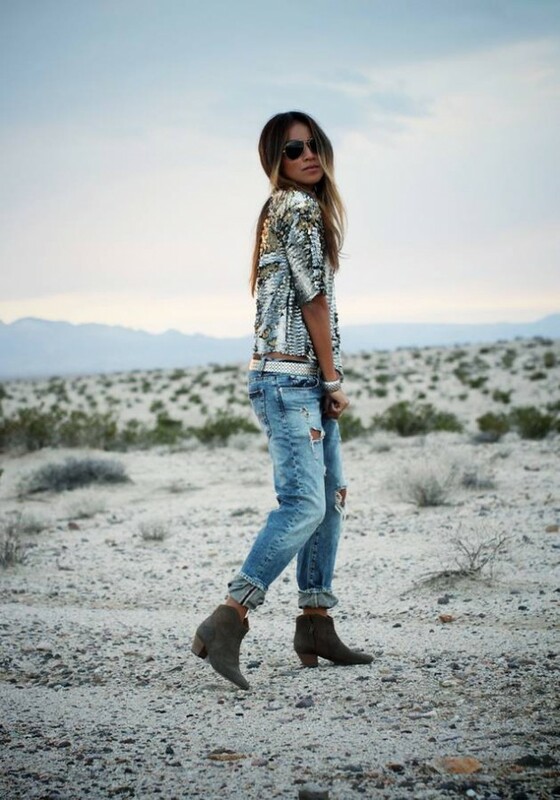 Just because your jeans have holes doesn’t mean they can’t be sophisticated it’s simply about how you style the trend. So if you’ve been dying to wear the ripped-denim look but weren’t sure how to pull it off in a post-collegiate way and super-chic way, take a look at these 17 ways to style them.